MIDDLETON, Wisc. – Hoping to offer a doll that will appeal to both girls and boys, American Girl has unveiled their first ever full-size male doll, which has lead to criticism from a North Carolina pastor who believes the move will blur gender lines and confuse young children about whether it is acceptable for boys to play with dolls like girls do. For over 30 years, American Girl dolls, along with their accompanying books and accessories, have been popular toys for children in the U.S. The original dolls featured storylines and outfits of young girls from different periods of American history, but since 1995 the company has sold doll characters in various modern settings. On Tuesday, in an effort to continue modernizing their line of dolls, American Girl announced the creation of its first-ever full-sized male character doll. “A boy character has been a top request from our fans for decades,” said American Girl spokeswoman Stephanie Spanos in a statement. 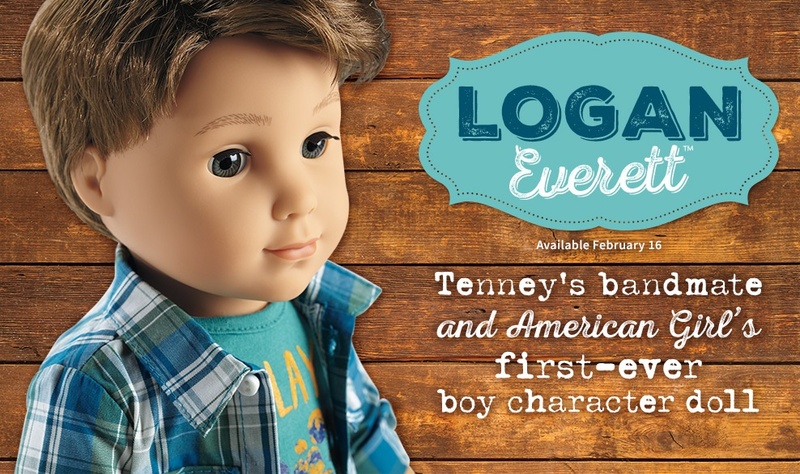 The doll, whose name is Logan Everett, is advertised on the American Girl website as a bandmate and drummer to a female doll character named Tenney. The company hopes the new male doll will be of interest not only to girls, but to boys as well. However, the unveiling of the new Logan Everett doll has left one pastor wondering why American Girl—whose mission is “celebrating girls and all that they can be”—is now also marketing dolls to boys. Keith Ogden, pastor of Hill Street Baptist Church in Asheville, North Carolina, fears the new male doll will blur gender lines and confuse impressionable children as to whether it is the norm for boys play with dolls just like girls. “This is nothing more than a trick of the enemy to emasculate little boys and confuse their role to become men,” he said in a statement. He told the Asheville Citizen-Times that he believes the new American Girl doll is a reflection of society’s gender confusion and lack of morals. He opined that churches need to be assisting youth during a time when gender identity has become a national issue, including in regard to youth activities. Ogden noted that the Boy Scouts of America recently announced that it will allow girls who identify as boys to serve as Boy Scouts. The Young Women’s Christian Association of Asheville (YWCA), however, said that it sees no issue with the doll.